Rehab singer Amy died of alcohol poisoning at the age of just 27 on July 23, 2011, following a long battle with drug and alcohol addiction. Janis, 58, told The Sun of the months leading up to her death: "Amy was getting there. She had kicked the drugs but I also know she was bored - bored with doing the same gigs and same music. "I would definitely say Amy was bored with life." She said she could not imagine Amy as an older person. "When I think Amy would have been 30 this year, it doesn't feel right," she told the newspaper. "I'm not saying I always foresaw this but I wasn't surprised. "I couldn't see Amy as an older person. She was this young girl who exploded into the world like a firecracker and then it was, 'OK, I'm done - I'm off'. Amy was never meant to be 30." The late singer is the subject of a new exhibition - Amy Winehouse: A Family Portrait - at the Jewish Museum in Camden, north London. 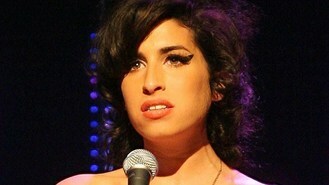 To donate to the Amy Winehouse Foundation, go to amywinehousefoundation.org.